There I was, pursuing the new arrivals at Net-a-Porter and falling in love with every Narciso Rodriguez pair of shoes, when I noticed several truly godawful items that would make one godawful look. 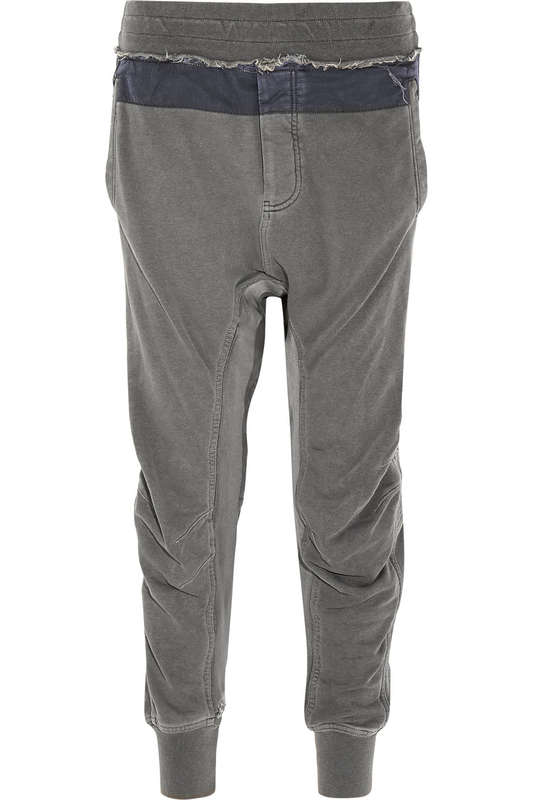 The Haider Ackermann ($850) drop-crotch track pants are obviously the star of this ensemble. I know they'd look very cute on a very tall and willowy figure. But most of us are not the 6'1" Karlie Kloss, so I must take Tim Gunn's views on drop-crotch pants as well as on wearing athletic gear outside the gym. 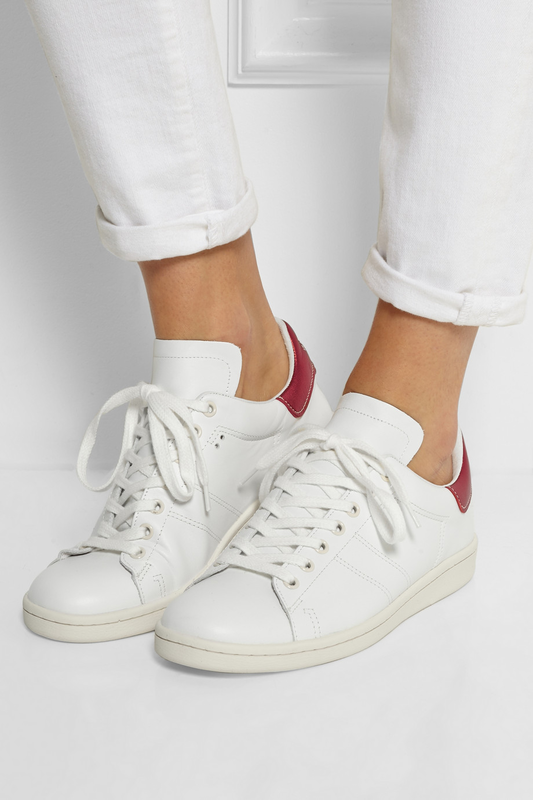 Now, add to that the retro sneakers from Isabel Marant ($475) that bring childhood memories of wearing fake Adidas and the general unattractiveness of white sneakers. I'm a Converse girl (recently bought a pair of Missoni Chucks that I found irresistible. and it made me almost as happy as I felt with my first pair of turquoise high-tops at age 14), so I firmly say 'no' to this pair. Which brings us to the last item, which I simply find to be in poor taste. Getting inspiration from army gear is fine (NLST says that the brand was "conceived from a passion and appreciation for the utility and authenticity of surplus"), but I've checked and NLST has absolutely nothing to do with the military, and as far as I could find they do not do anything to actually support the troops with their profit. 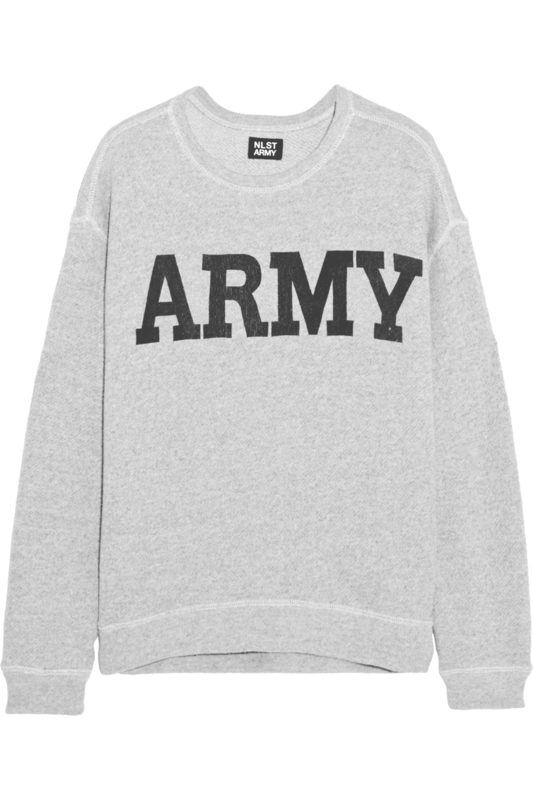 I'm pretty sure that no one who is actually in the Army (or their loved ones) is buying and wearing a $255 sweatshirt. Is there an uglier phrase than "drop-crotch track pants"? Maybe, but little could be uglier than the pants themselves! Yikes. Yes indeed. I was over the whole "normcore" thing before it even began.